Although we wear jewelry on the daily, we don’t always have the quantity to match. We have enough skirts and shirts to make a month’s worth of outfits, but barely enough jewels to fill a week’s worth of fashion. It’s a tragic conundrum. And, every stylish woman knows it. Unfortunately, the problem makes complete sense. Because, let’s be real: jewelry is way more expensive than clothing. Truth. That being said, keeping up with fashions and setting new trends is all about problem solving: deciphering when a craze is worth it, finding a way to wear the latest thing and still stand out, breaking down an ugly fad and making it work for you, etc. It’s a life full of creativity and solutions. So, here are 4 great ways to expand your jewelry collection even when you don’t have enough to buy new jewels. Rattle your fashion with varying necklace chains. Take old (or new) pendants and wear them on different chains, creating separate and distinct pieces of jewelry. Compared to true jewels, chains are inexpensive and easily accessible. You can buy real gold and sterling silver chains for cheap and there are so many options to choose from: roped, boxed, beaded, sparkling, matte, and more. They’re all amazing choices and each will make your pendent look like an absolutely new piece of jewelry. And, while you’re swapping chains, try mixing and matching pendants. If you have some small, simple pendants, you can place them on one single chain to create a brand-new necklace. Just like with a chain and pendant, changing a bracelet, watch, or ring band can completely transform a jewelry piece into something wholly new. 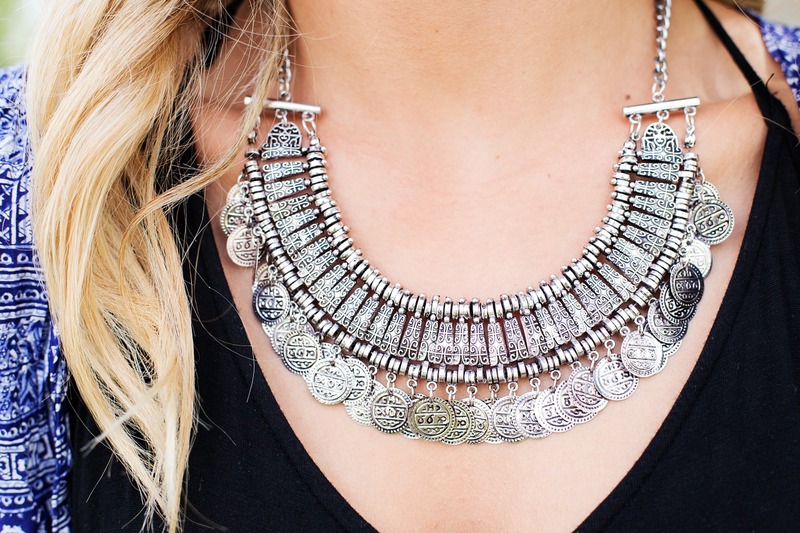 For this reason, interchangeable jewelry is all the rage now. Not only is it exciting and fun, but it is also a great, cost-efficient way to keep your jewelry collection ever growing. For bracelets and watches, interchangeable bands usually come in different colors, designs, and/or materials. Get a simple watch face or modest bracelet top in the style you like and get ready to match it with all sorts of bands to build the jewelry collection of your dreams. You can also play around with assorted charms for your bracelet to modernize or restore a look. For rings, variability generally lies within the gems. Either the band itself will be a hollowed and molded stone that comes with other bands of the like. Or, the ring will have open slots to easily place and replace gems within the band. With interchangeable jewelry you can have a new ring, bracelet, or watch every day. Thrift stores are usually thought of in terms of clothing, but surprise! They also have some incredible jewelry selections. You can find beautiful vintage and antique jewelry- styles that are always in, and always make an outfit. Don’t be discouraged if all you see is discolored and dull jewelry; sometimes all a ring needs is a little cleaning solution and a cloth wipe to make it look exquisite and trendy. And, if you find jewelry with open pendants or jewels missing, don’t turn away just yet. You can fill the missing gems slots or broken pendants with individual cut gems. Either make use of old gems lying at the bottom of your jewelry box or buy new ones from a jeweler. Maybe you don’t have enough to buy a whole new necklace, but if you already have the setting, you’ve covered half the cost. If you’re not too attached to your jewelry for sentimental reasons, trading in for other pieces is always a satisfying and easy way to keep your jewelry collection fluid. You can either trade a piece for a piece at a pawnshop or another local jewelry dealer. Or, you can trade your jewelry in for cash and take that cash elsewhere. This way, you can choose the jewelry of your heart’s desire at whichever store you like. You can sell your jewelry online or in-person to private places like Luriya.com, that specialize in buying diamonds, fine jewelry, precious metals, and watches. Trading is great for selling diamonds, gold, and other fine jewelry for a high payout. Though it may sound taxing, trading jewelry in for cash takes tops 30 minutes per sale. You simply bring your jewelry to a buyer whenever you have time, and he or she will appraise the item and make you an offer on the spot. If you find a dealer you like but who is a too far away for you to travel to- don’t worry! Most private jewelry dealers offer a mail in kit, through which you can send your jewelry in for an appraisal and offer. Even if you choose not to sell in the end, there’s no harm done since the appraisal should be free. Just be sure the buyer you go with is experienced and is using properly calibrated scales. Once you find a reliable buyer that you feel comfortable with (I recommend shopping around a bit until you find the buyer that gives you the best prices routinely), pop in any time for a quick deal. Do this on the regular to keep your jewelry collection fresh and moving fast. If you do this enough, the buyer might even cut you some package deals. Now that we’ve given you some crisp new tips to keep your jewelry collection movin’ and grovin’, get to it! Update your jewelry collection economically, while saving up for those larger, pricier diamonds. There’s no reason your fashion should have to suffer a loss, when you’re trying to be careful with your money. You just have to be a little imaginative and thrifty.